This one by Sessun is described as a cape. I love the kangaroo pocket. 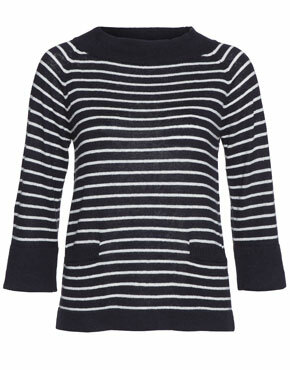 I like my tops long, so this simple version by ASOS fits the bill. 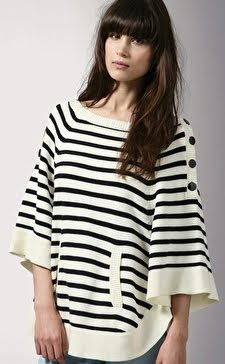 This one by Sibling (as seen on Style Bubble Susie) is probably my favourite. I love the interstarsia skull. Eco chic brand Ascension has one with a great shape and front pockets. 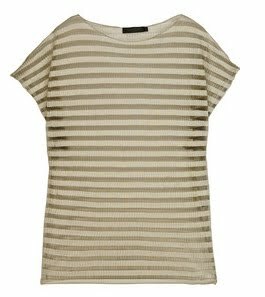 This Maje at Net-a-Porter top is another favourite of mine. It's great because it's bretony and lacy: two trends for the price of one. 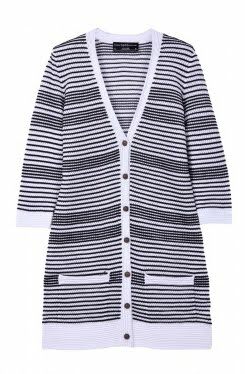 For something a bit different, there are many different cardigan's with navy stripes. 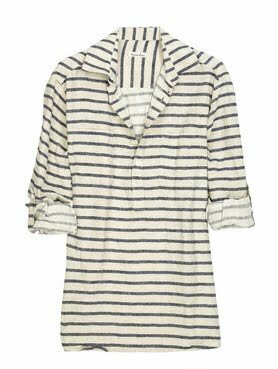 The one that stands out most to me is this Pringle version at My Wardrobe, with its adorable pointel texture. If you like structure, but not too much structure, Steven Alan does a linen one, which is being sold at Net-a-Porter. 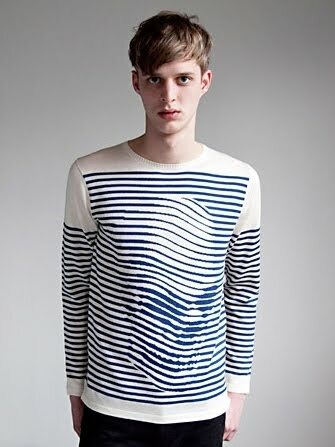 This one by Calvin Klein at the Outnet really stretches the breton designation, but I love the sheerness of it, so I thought I'd throw it in. If you like it too, be quick, because things sell out quickly at the Outnet. 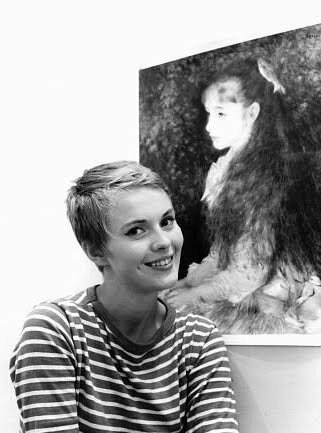 Blink and it will be gone.